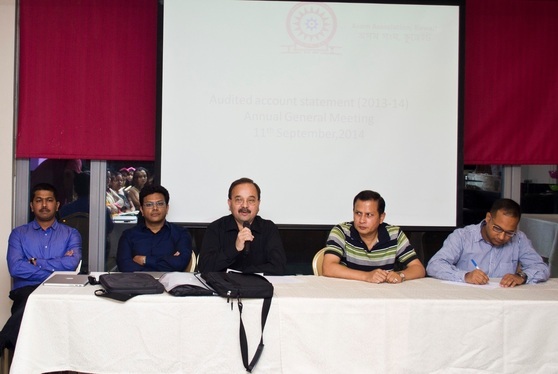 The 2014 Annual General Body Meeting (AGM) was held on 11th September 2014 in Mughal Mahal Restaurant. The members of AAK selected new Executive Committee members during the meeting. Click here to find the complete list of nw EC commitee members. At the outset, let me on behalf of the new AAK Executive Committee take this opportunity to thank you all for reposing the faith on us to handle the affairs of the association. It will be our sincere endeavor to carry out the activities and functioning of our beloved association in a manner befitting the high standards set by the predecessors. Needless to mention that, in a very short span of time, our association has been able to establish itself as a very culturally active, vibrant and socially responsible institution here in Kuwait..click here the read the full message from Hon. President Mr. Rajib Lochan Rajkhowa. On behalf of the new Executive Committee, I would like to take this opportunity to thank all the AAK Members and the outgoing Executive Committee for nominating and choosing the new executive committee of AAK under the energetic leadership of Mr. Rajib Rajkhowa to co-ordinate and conduct the activities of the AAK for the 2014-2015 sessions. I hereby seek... Please click here to read the full message from Hon. General Secretary Mr. Bhaskar Hazarika. As you are aware that this year powerful flash floods have severely affected our motherland, thousands of houses were swept away, bridges collapsed, provincial towns were totally cut off after road and rail links were severed. To start an effective charity process by AASHA, an appeal from Mr. Ranjit Dutta has already been made to all of you. It is a sincere request from the Association to all the members to provide your best possible support; please remember, in times like this, to aid our suffering brothers and sisters is not an option, it is an obligation for all of us who can afford. Let us all come forward and make this endeavor a successful one. Article about Kuwait Bihu celebration published in Assamese daily news paper "Amar Asom" of 2nd August 2014. Very well written article by our AAK members Mr. Alok Das and Mrs. Debahuti Kakoti Das. Please click here to read the full article. About us... 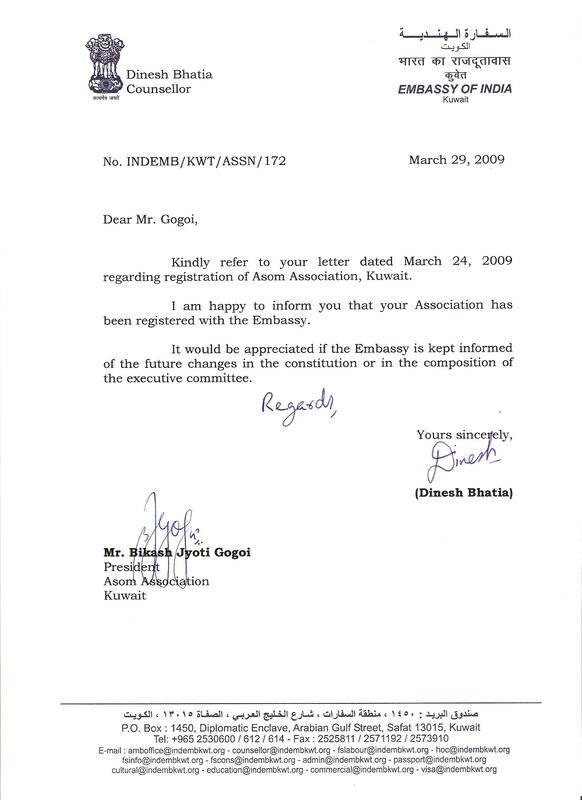 The Asom Association, Kuwait has been registered under Indian Embassy Kuwait, vide letter no. INDEMB/KWT/ASSN/172 Dated March 29, 2009. The Rongali Bihu 2014 Celebrations has been captured in the form of a DVD. 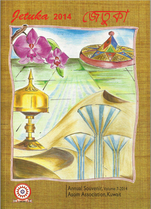 Interested Members may please collect the copy from Mr. Abhijit Sharma. One copy of DVD is free for each member family. Alok Das, an active member of AAK, now has recently penned down number of Assamese articles which are published in Assamese daily news paper.If you want to check out and comment on these articles, CLICK HERE.